A lighter fresh take on a margarita! Fresh squeezed citrus juice and a splash of seltzer makes this fresh and lighter, with no added sugars! So go ahead, enjoy your margarita (or two) this Cinco de Mayo!! 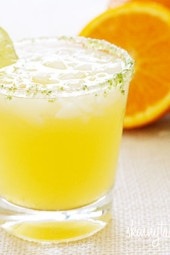 To make a simple lime salt for the rim of the glass, grate a little lime zest and combine it with a coarse salt. Then use a lime wedge to wet the rim of the glass, then dip it in the salt. This is completely optional! 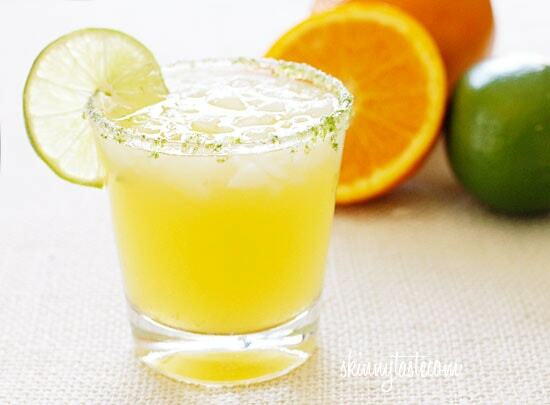 Combine the tequila, orange liquor, fresh squeezed orange juice, and fresh squeezed lime juice. Pour into a glass with crushed ice and top with seltzer. I made these for a dinner party tonight and they were a huge hit! I just prepared a pitcher with all of the ingredients except the seltzer and then topped off each glass with some lemon la croix. Very refreshing and not as syrupy as a traditional margarita. Hi Gina can you make this with another fruit or all lime. I am not a huge fan of orange juice. Although I loved oranges lol. Thanks. Just made this drink…all I can say is delicious! It's like a lightened up margarita. So, so good. You always have great recipes. Thanks! Sorry, it's Bar on Buena! Gina, I do have a question. Can you recommend a dry red wine that is low in WW points. Red wine is typically 5 points, but if there is a red wine that you can recommend that is lower than 5 points, I would be very grateful in Chicago! My best tip is to turn your wine into a spritzer if you plan on having more than one glass. The drink is worth the 5 points. The manager, Chris Chatman, of Bar on Buean in Chicago found the recipe for me when looking it up on his cell phone when I asked for a low cal coctail. I am going to carry this receipe/or have it handy in my e-mail for providing to bartenders when I go out. wow, I love a good drink, but I don't think I can fathom using 5 points for one drink!! that's a whole meal! My boyfriend and I started sipping on these while outside doing yardwork! So delicious and very refreshing! We have a new favorite summer drink! The fresh squeezed juices were the BEST! Thanks! This was the perfect addition to my Cinco de Mayo meal. I LOVE the fresh ingredients in this drink and the fizziness of the seltzer. I will definitely make again! I made this drink last night!! Definitely going to be a regular for me!!!!!! Oh this is a must try! Especially her in the hot state of Texas! Can't wait! I made this tonight with your cilantro lime shrimp dish for dinner. Delicious!!! 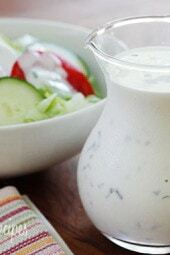 Do you have a recipe for this drink if making for a crowd..a pitcher full? I made this today and it was good! Had everything on hand except the seltzer, so I used diet tonic. I see Melanie noted above that diet Sprite works best, so next time I will try that. Thanks for another great recipe. Happy Cinco de Mayo!! The biggest problem with this? It goes down WAY too easy. Thanks for another winner, and adding more cocktail recipes to the site! This drink and the shrimp fajitas made my Cinco de Mayo so yummy and still stayed under points. This was wonderful. Had a bunch of guys over to our house today and everyone loved it! I added a touch of agave for added sweetness. Could it be possible to get all the measurements in grams? Fresca also works great as a low cal option to add to vodka or tequila. I just made this also……even bought oranges to squeeze and limes too. HJad everything else on hand.. I am having this right now and it's awesome! I must say you have an amazing timing because I just bought a shaker and martini glasses yesterday and was raiding the web for easy cocktail recipes that sounded good, only to find that you had posted this. And I didn't even have to buy anything! Well, I didn't have Cointreau on hand and it was sold out at the supermarked… but I improvised with the same amount of Martini Rosso and it turned out great. Sara so glad you liked it! Oh please don't eliminate old points. There are people who still count Momentum/Flex points as Points+ does not work for everyone. I'm not Bella, just don't know how to get the points on alcohol with the old system, I'm assuming just use the calculator but I don't want to guess. yes it is calculated the same way as all foods using calories, fat and fiber. WW only changed alcohol calculation with PointsPlus. I still have my books if you would like me to look it up. I'm relieved you are not getting rid of old points. I got worried there for a minute. Thanks a bunch for your blog and recipes. I enjoy your use of natural/fresh ingredients on your recipes. I'm learning to cook with them through your recipes. So happy you're not getting rid of old point! My heart skipped there when I saw it was only points+! I've tested club soda, seltzer, tonic, even gingerale, and we find that Sprite (any lemon/lime soda) works best! Use diet sprite for less calories, and add sweetness without calories! 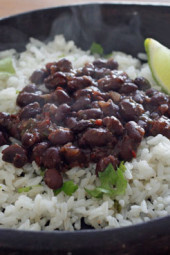 Looks great but is this really 5 points + as indicated in the recipe? The NI only states 137 cal. Thanks very much….can't wait to try! Alcohol doesn't show up in the nutritional info so it's always higher in recipe builder. I love it! What a great drink!! I plan on making this for Cinco de Mayo! Thanks Gina!! This sounds excellent. Thanks for sharing! I don't know if you noticed but in the recipe it says "club soda" but in the body you mentioned seltzer. Club soda has salt in it where seltzer does not (bubbly water). Just a F.Y.I. Love your site! Awesome! Yes, seltzer, club soda, anything bubbly! Love this idea! I'll be making a big pitcher of this on Saturday 🙂 Thanks! 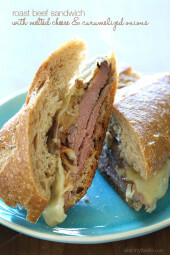 I found your site on foodblogs.com and thought I'd stop by and check it out. I just subscribed to your feed and can't wait to see what your next post will be! Take an orange, cut it and squeeze! It's the best tasting way! OMG – that looks AMAZING!!! I included the points for the oj and lime juice, since once fruit is juiced, it's no longer free. Is that the difference? Either way, I can guarantee I'll be indulging in this deliciousness this weekend – and all summer. I love and miss my margaritas!!!! I included all the the juice as well, not sure why the results don't match. There was no Grand Marnier option so I used liquor, what did you use for the orange liquor in recipe builder? Ooh I see that, I was spelling it wrong. If you use a little less orange liquor you can get it back to 5. Since there is fresh oranges I think that's the way to go. I was just trying to figure out how i was going to drink a margarita this weekend…..PERFECT! Thanks! I was going to to the crystal light margarita mix (reconstituted with water) and tequila route – but this looks sooooooo much better! This looks awesome! Unfortunately I can't drink it though, because I'm an alcoholic. Sub simple syrup(sugar water blend, quick & easy to make) (just a splash) with the juices, seltzer and salt, and you've got a virgin margarita! This is perfect timing for our BBQ this weekend. Thank you!